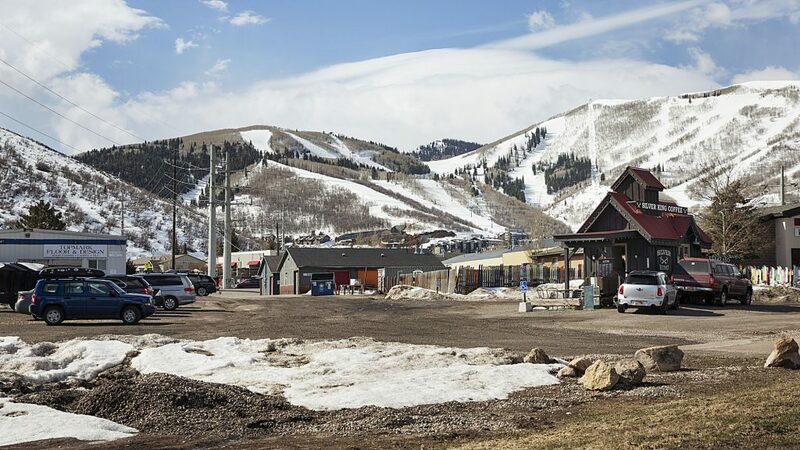 The Bonanza Park partnership is scheduled to renew discussions with the Park City Planning Commission about the proposed redevelopment of the district. A map of the proposal was included in the supporting materials gathered in anticipation of the Planning Commission meeting. Courtesy of Park City Municipal Corp.
At one corner of Bonanza Park, partially bordering Munchkin Road, there could someday be a hotel and related commercial space built. In another part of the district, toward the intersection of Bonanza Drive and Kearns Boulevard, the largest building, as measured by square footage, could be developed in Bonanza Park. It would stretch inward toward other buildings. 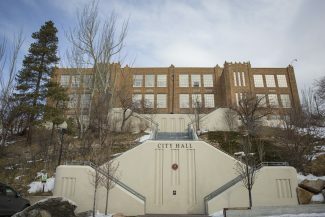 City Hall released details of the proposed Bonanza Park buildings, including the layout of the project, in anticipation of a Park City Planning Commission scheduled on Wednesday. 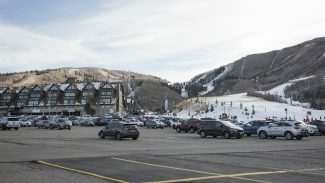 It has long been understood that the Bonanza Park developers would pursue a project resembling the one outlined in a City Hall report prepared for the Wednesday meeting, but the report as well as accompanying maps and illustrations provide some of the best insight yet into a project that is expected to be one of the most ambitious redevelopments in Park City’s history. 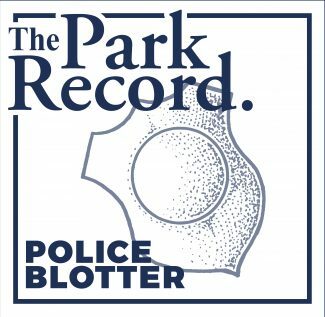 The report provides a rundown of seven buildings ranging in size from 118,874 square feet to 7,331 square feet. All but one would offer a mix of uses. The outlier would be exclusively residential. The largest one would involve 49,739 square feet of residential space, 44,193 square feet of office space and 24,942 of commercial space. The second-largest building, a proposed 63,532 square feet, would have a hotel and commercial space. 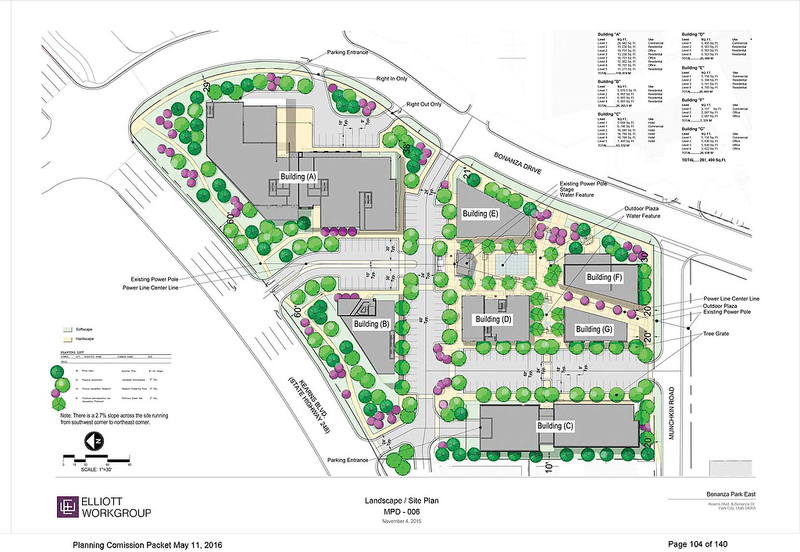 In total, residential square footage would account for 39 percent of the development, office space would cover another 22 percent, the hotel would spread through 20 percent and the commercial space would amount to 18 percent, according to City Hall’s analysis. The Bonanza Park partnership, consisting of Mark J. Fischer and John Paul DeJoria, on Wednesday is scheduled to renew its talks with the Planning Commission about a patchwork of properties under the partnership’s control. The partnership will return to the Planning Commission five years after an earlier development submittal. Fischer said the blueprints represent a "classic approach" for development of residences, retailers and offices. "That brings vibrancy to the building because you have people living in the area," Fischer said about putting residences in the same buildings as retailers and office spaces. Fischer said the Bonanza Park partnership has not started negotiations with a potential operator for the hotel. The City Hall report also details the proposed height of the buildings, as measured by stories rather than feet. The potential for taller buildings in Bonanza Park compared to nearby districts has been a concern of critics. The report indicates two of the buildings, both on the periphery of the project, could climb to four and five stories. One of those buildings is where the hotel would be located while the other is the one proposed as 118,874 square feet. The report provides measurements showing how far a building will be from a road, referred to as the setback. The setbacks from Kearns Boulevard will be 60 feet, they will range from 38 feet to 21 feet from Bonanza Drive and they will be 20 feet from Munchkin Road. Other details include information about two proposed underground garages and a total of 465 parking spots between the underground garages and surface lots. 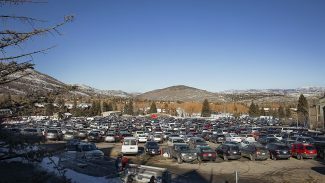 Most of the parking — 351 spots out of the 465 total – would be within the underground garages. The Planning Commission meeting is scheduled to start at 5:30 p.m. in the Park City Council chambers in the Marsac Building. A public hearing is scheduled. The Planning Commission could cast a vote on an early step in the City Hall approval process, known as a pre-application. There would be other Planning Commission meetings and hearings prior to a vote on the project itself. Those meetings would be more focused on details of design, traffic and other issues than the one on Wednesday.